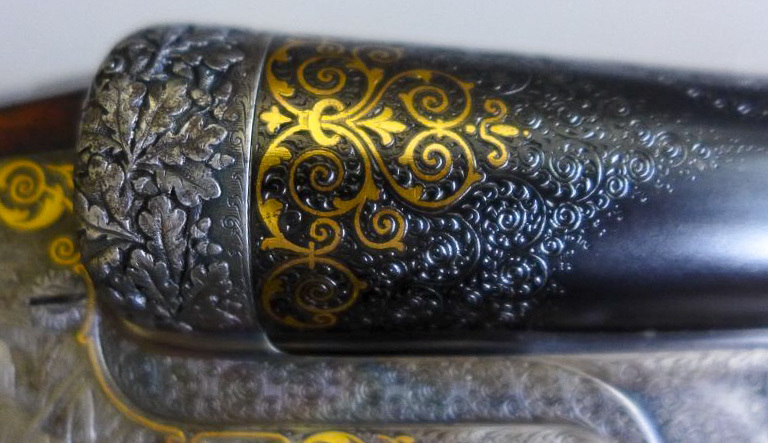 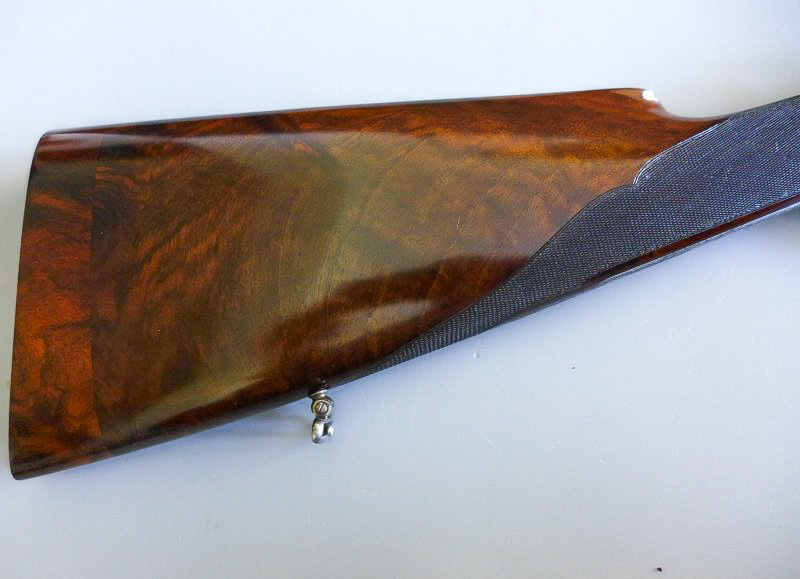 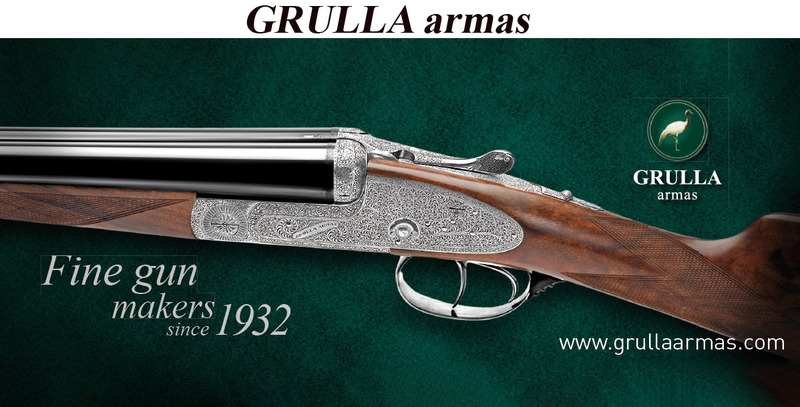 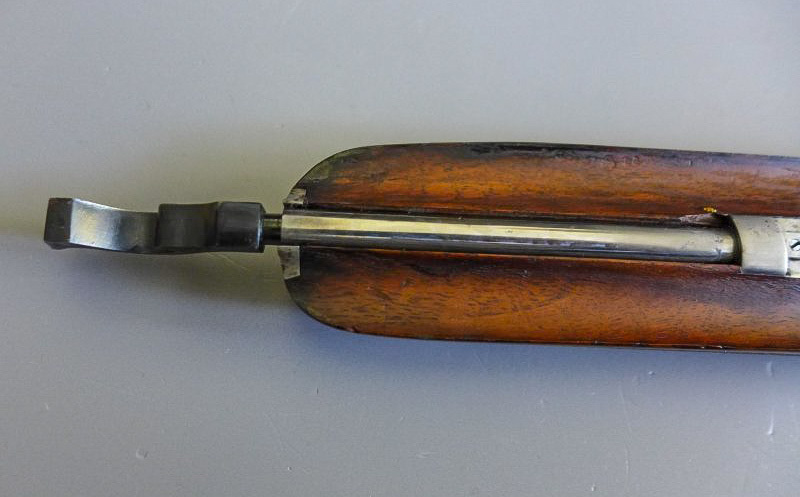 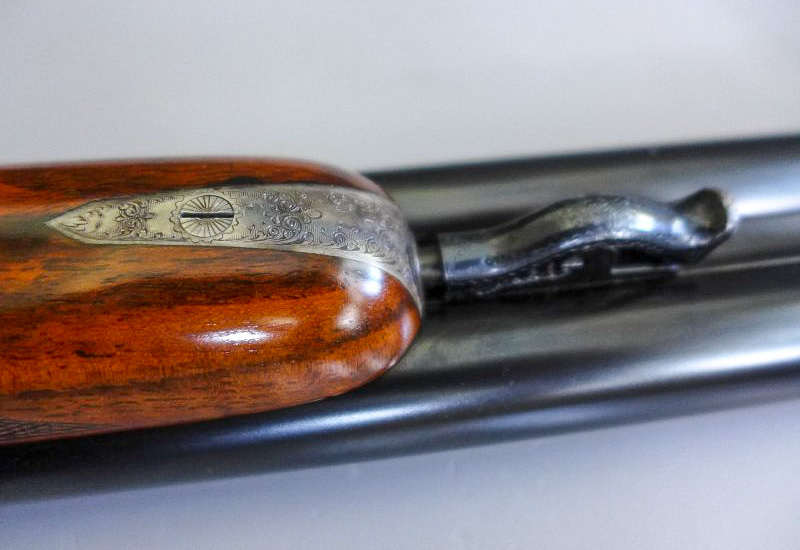 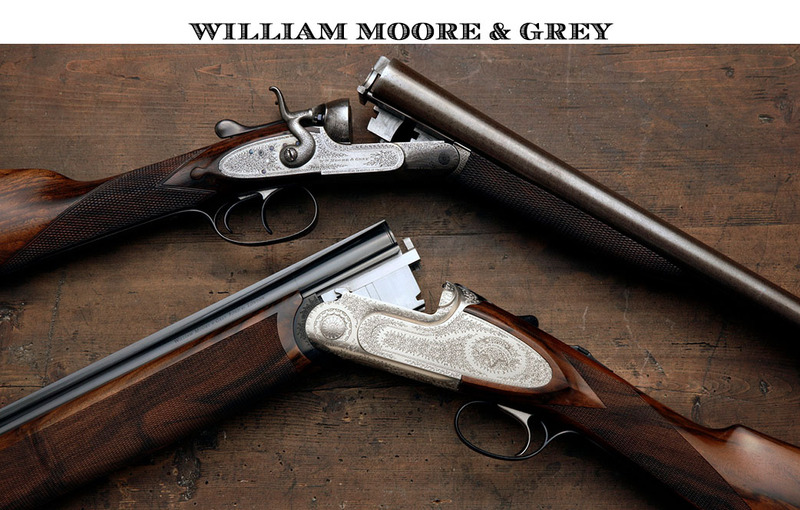 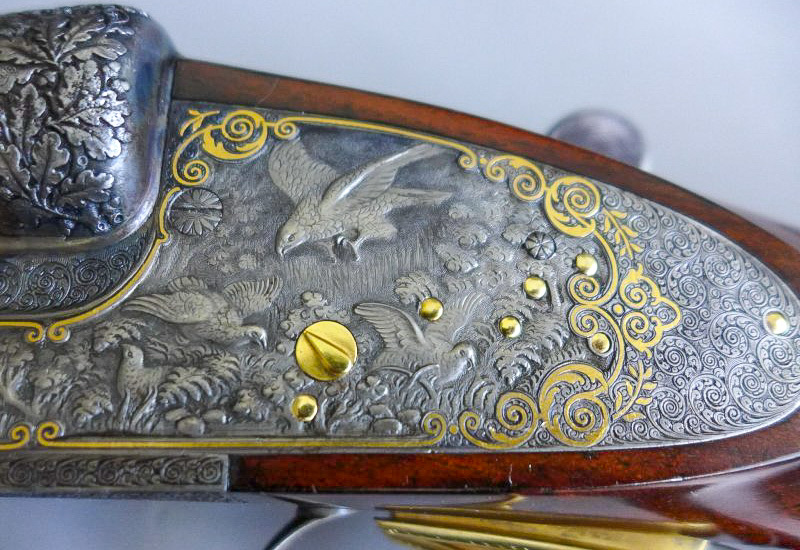 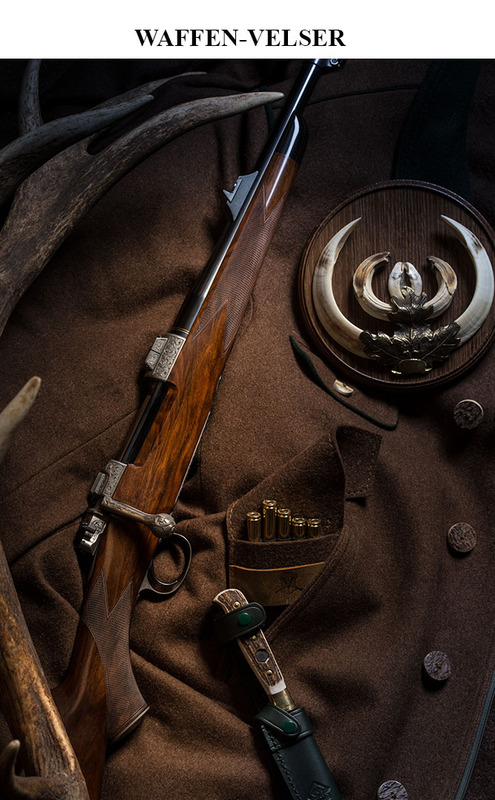 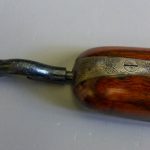 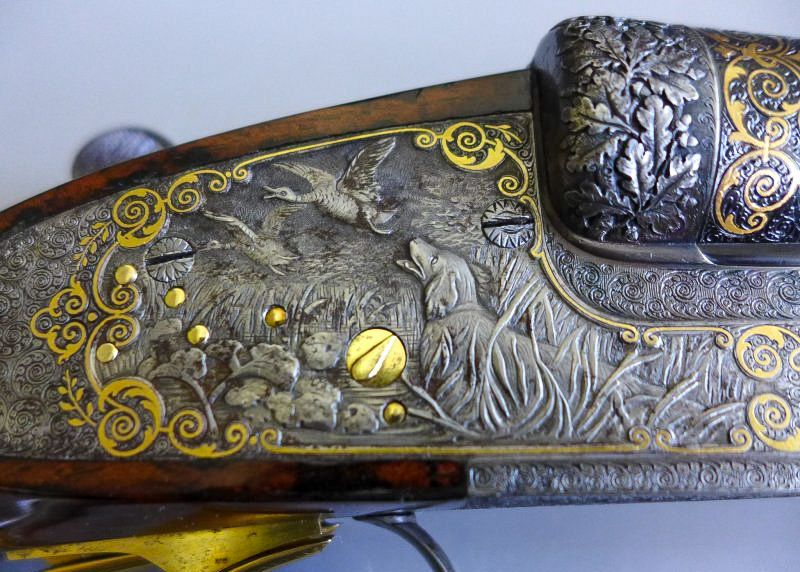 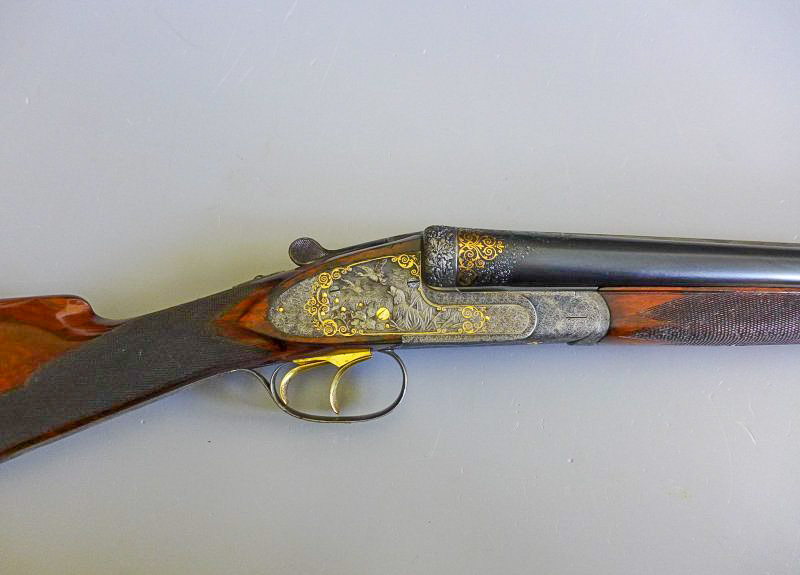 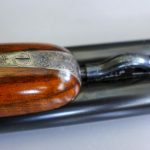 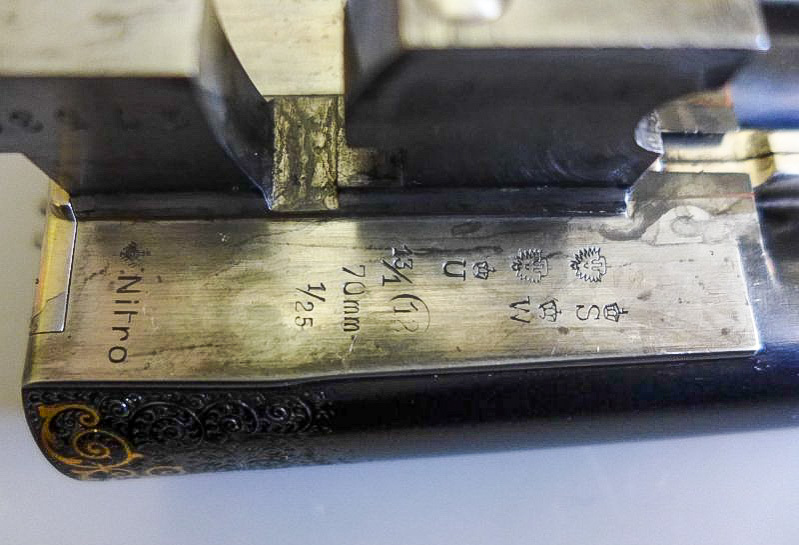 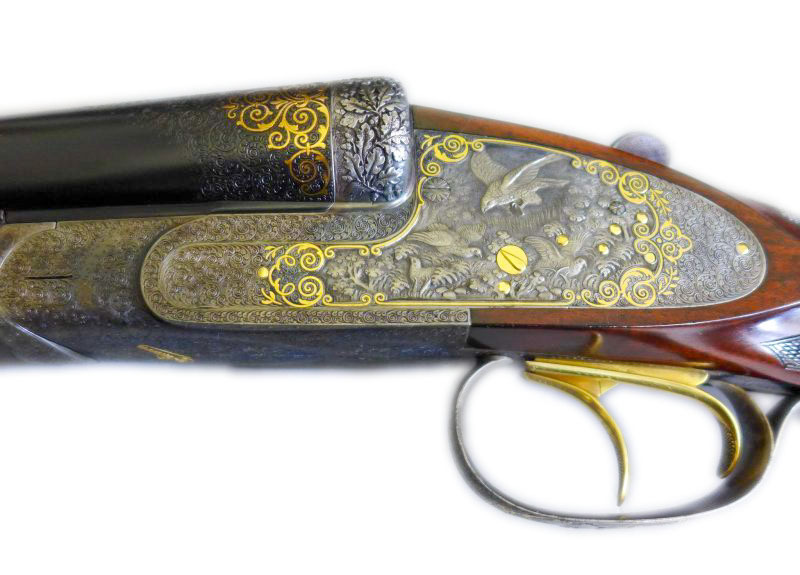 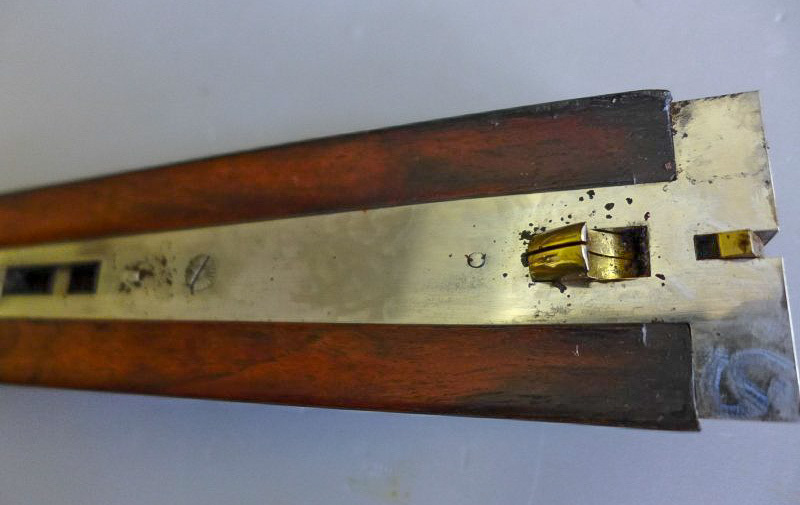 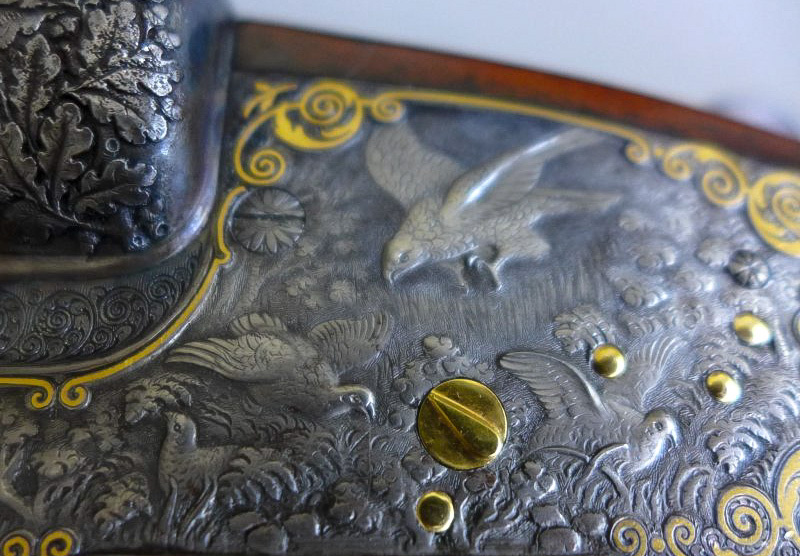 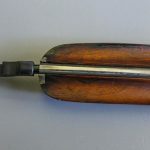 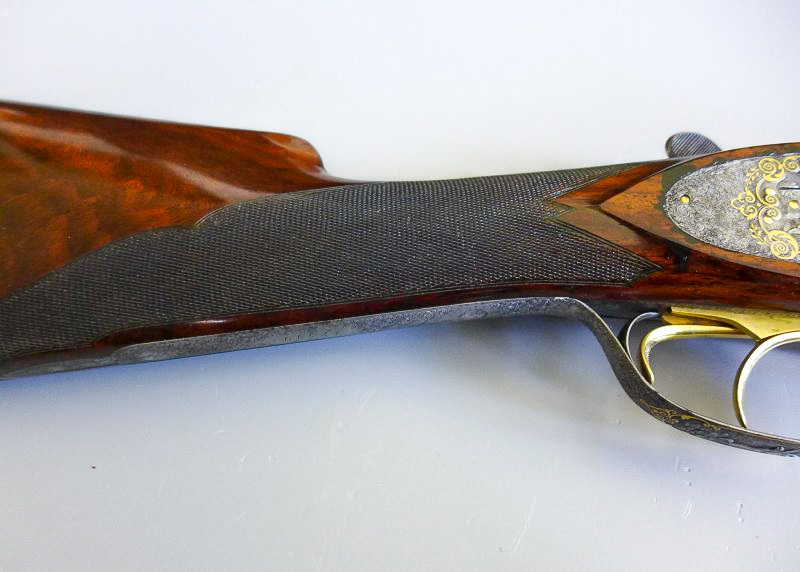 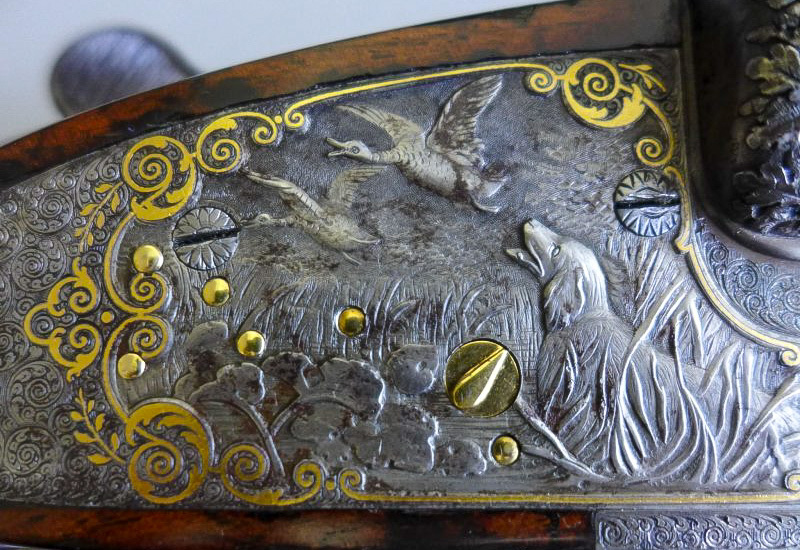 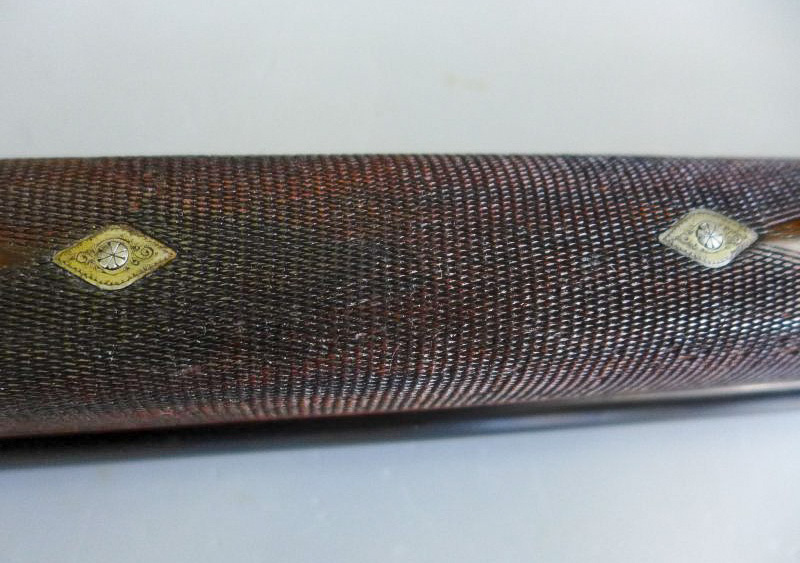 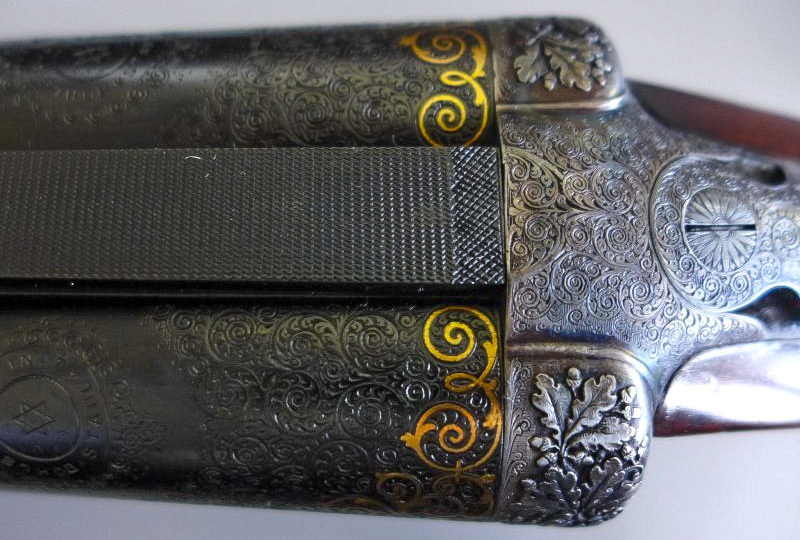 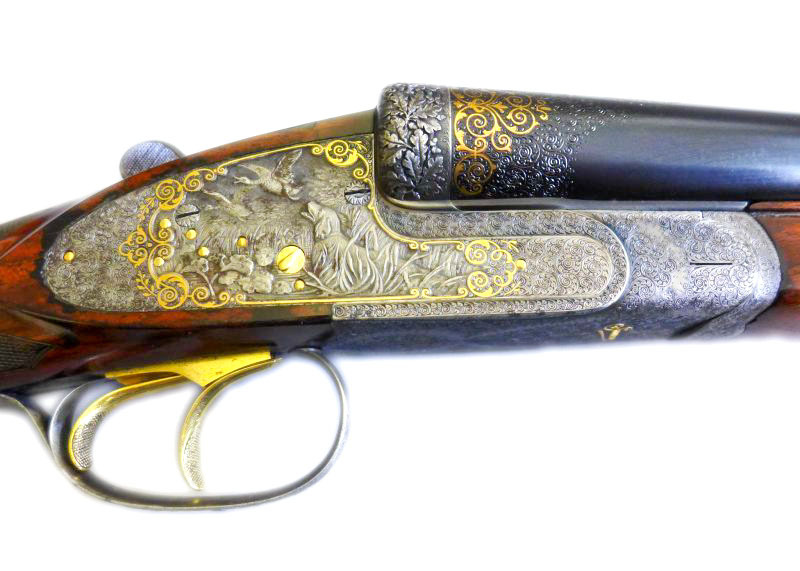 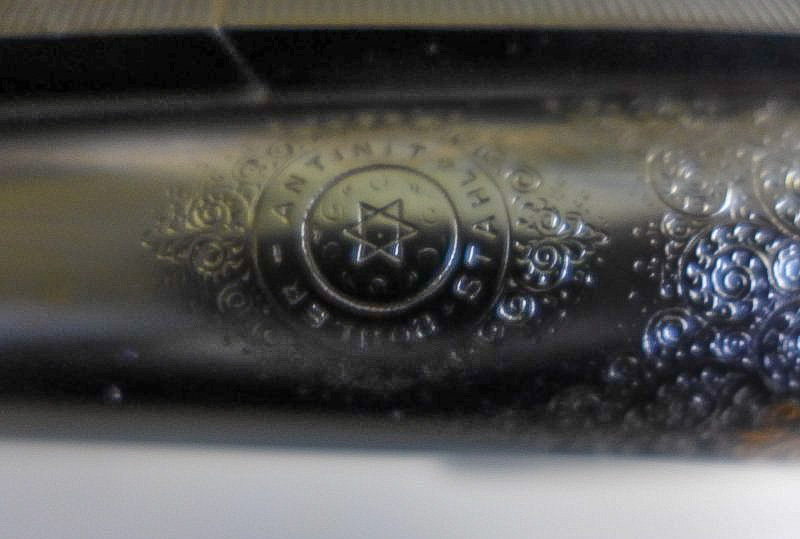 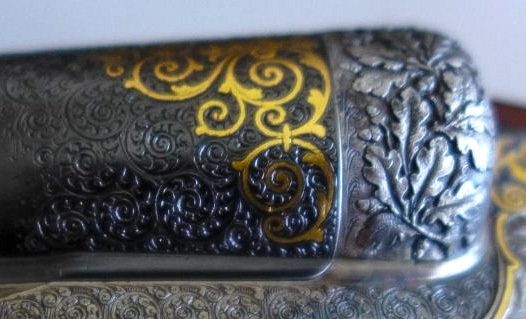 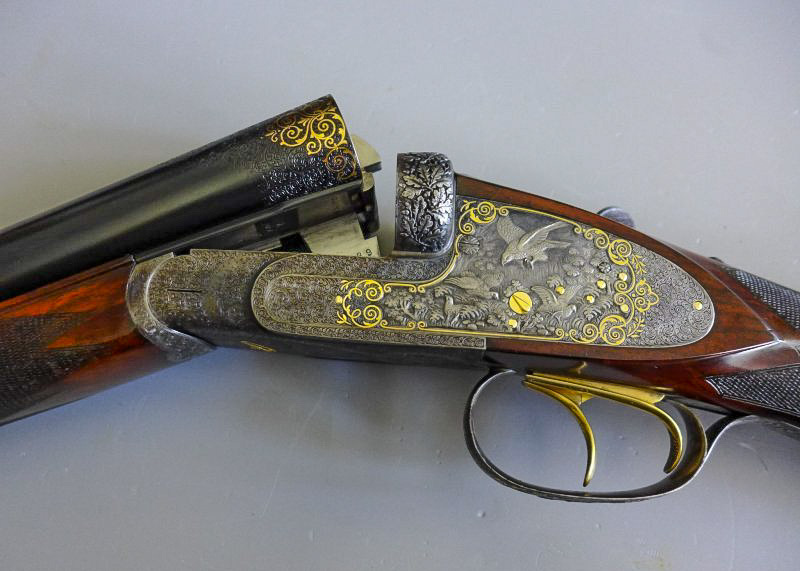 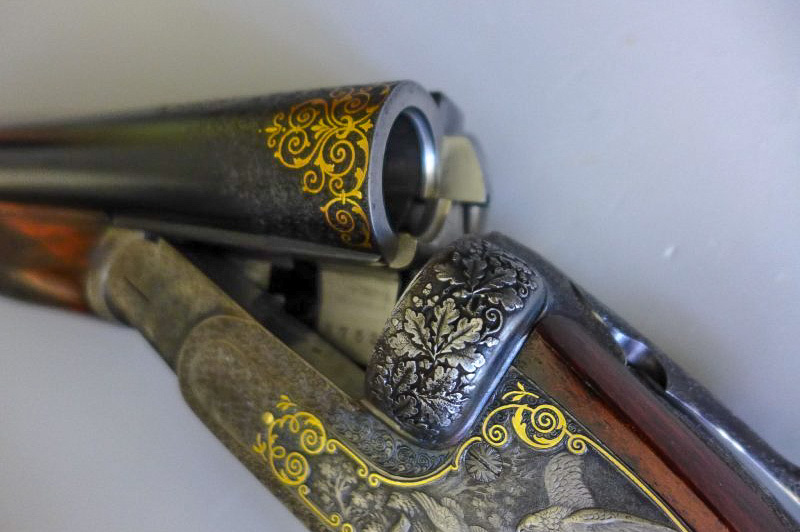 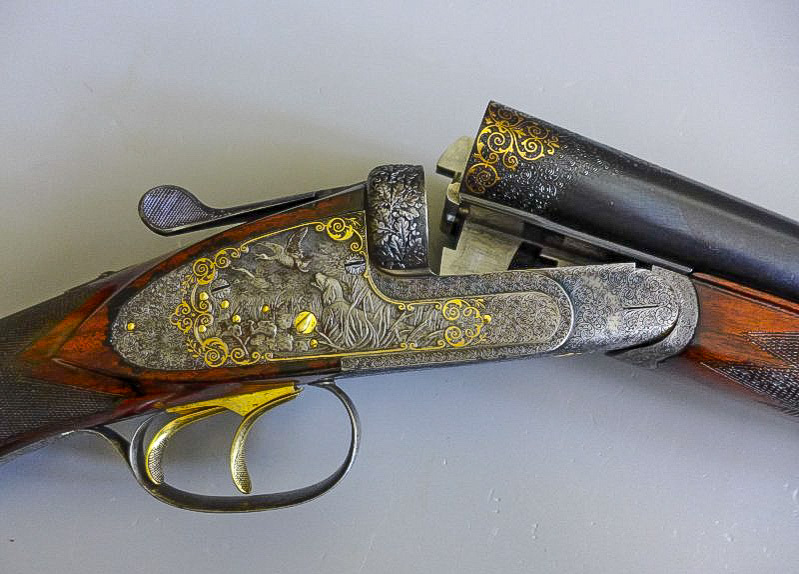 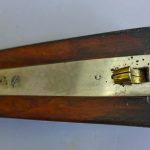 An outstanding Simson Suhl Sidelock Ejector Pigeon Gun in exhibition quality. 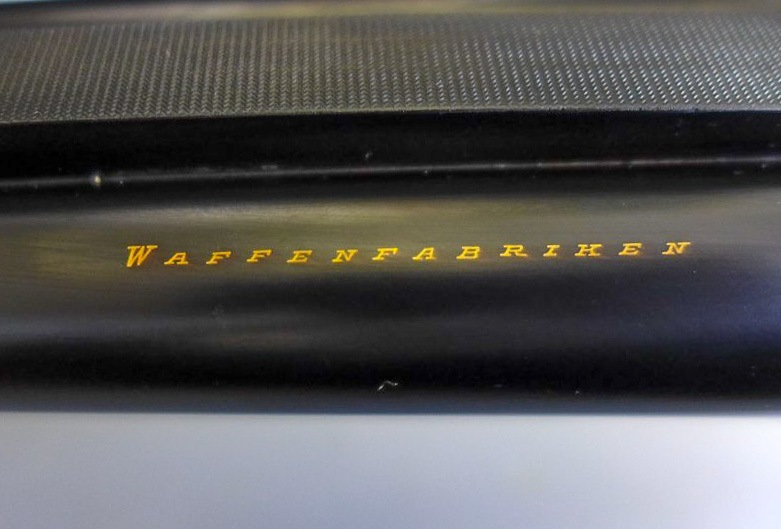 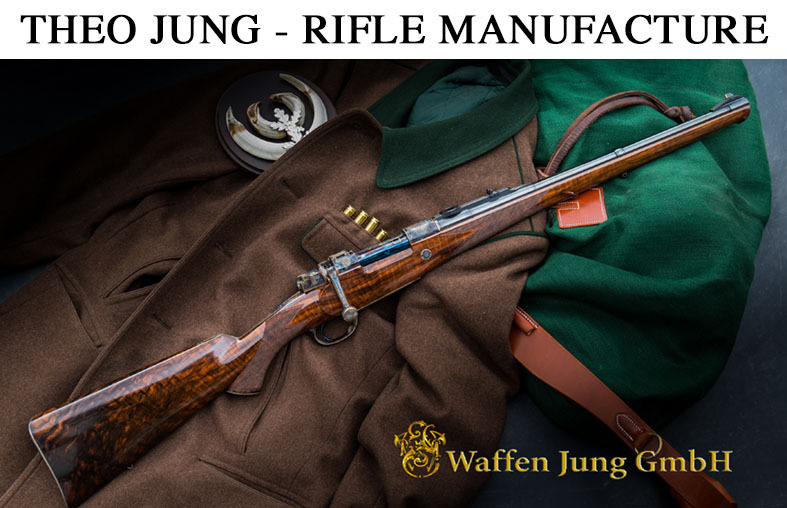 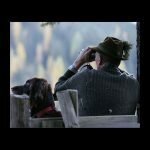 Special thanks to Norbert Wenninger of “Feine Jagdwaffen” for permission to show this rare Double. 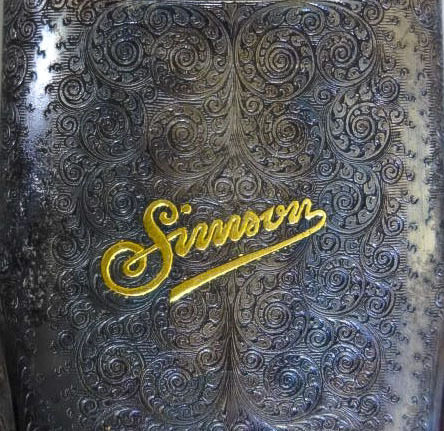 Simson Taubenflinte Modell Monte Carlo im Simson Katalog. 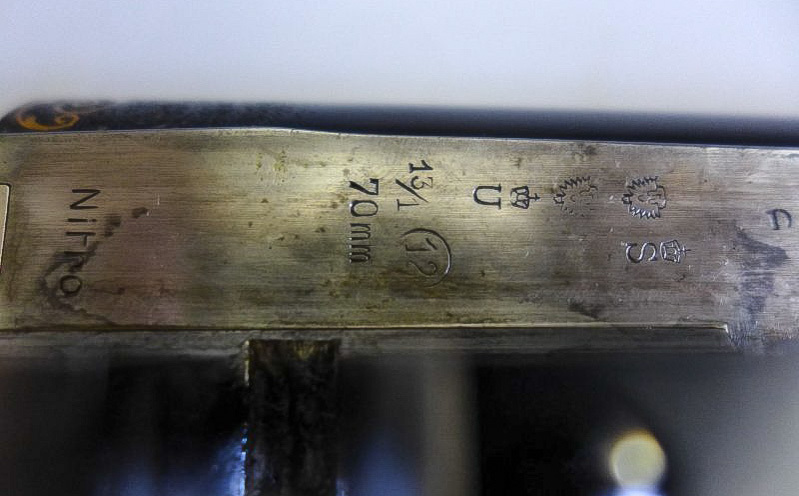 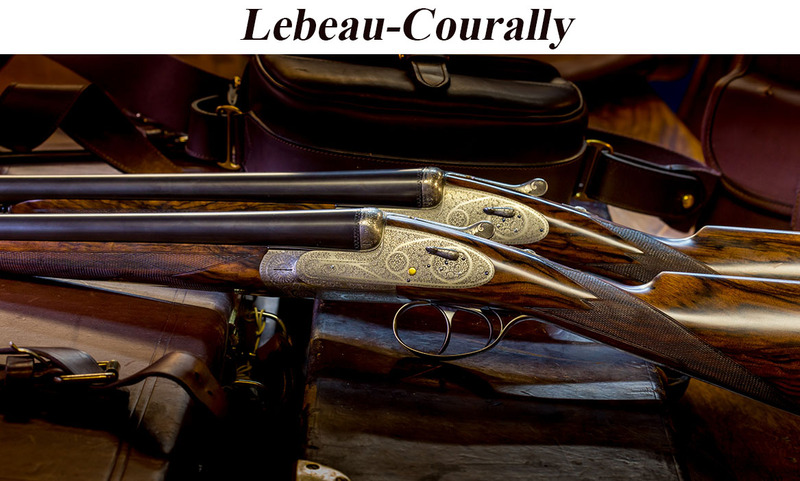 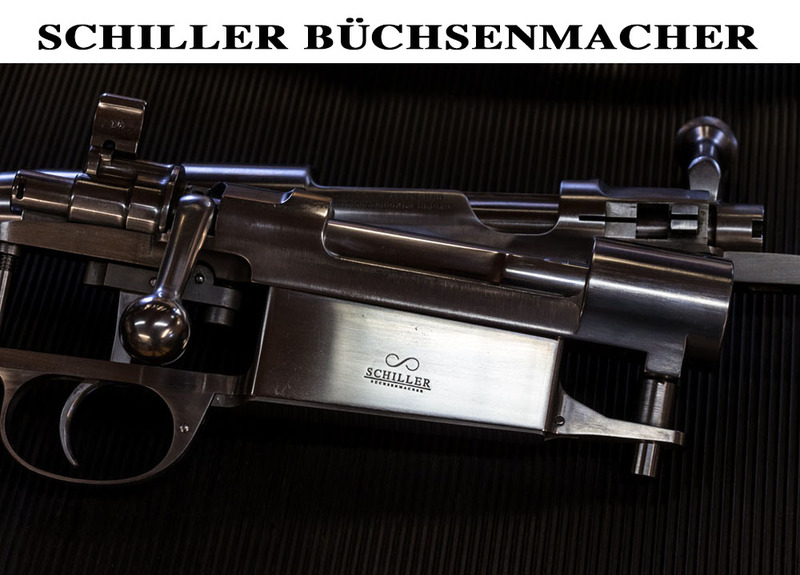 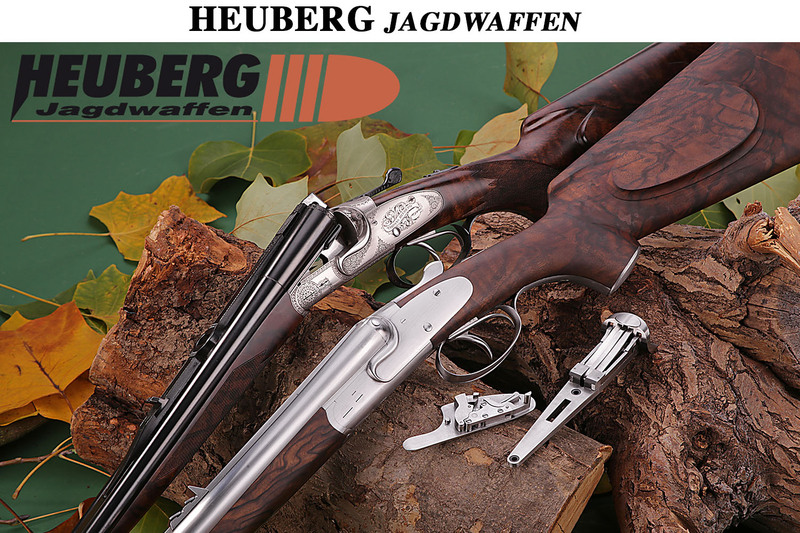 The gun comes in 12/70, barrellength is 76 cm, weight is 3780 Gramm. 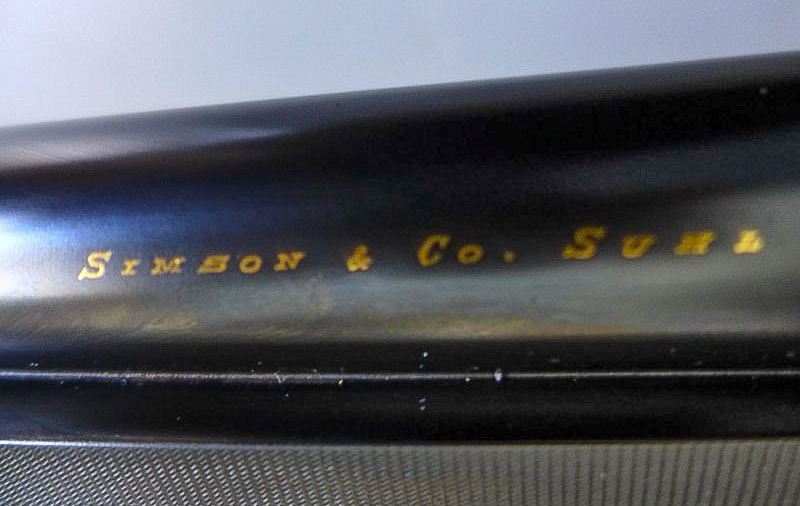 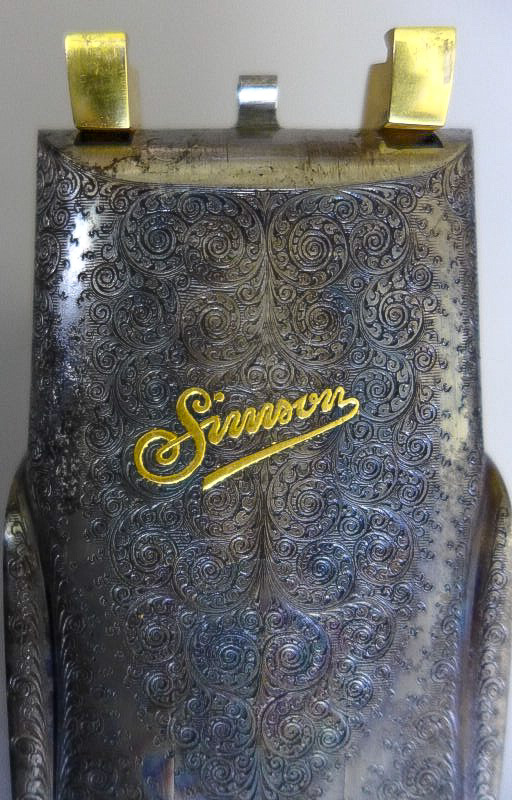 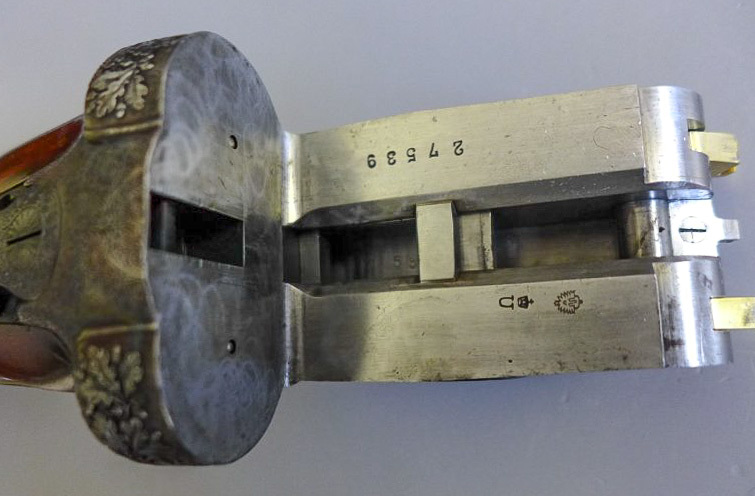 Probably it is a Pigeon Gun Simson was famous for. 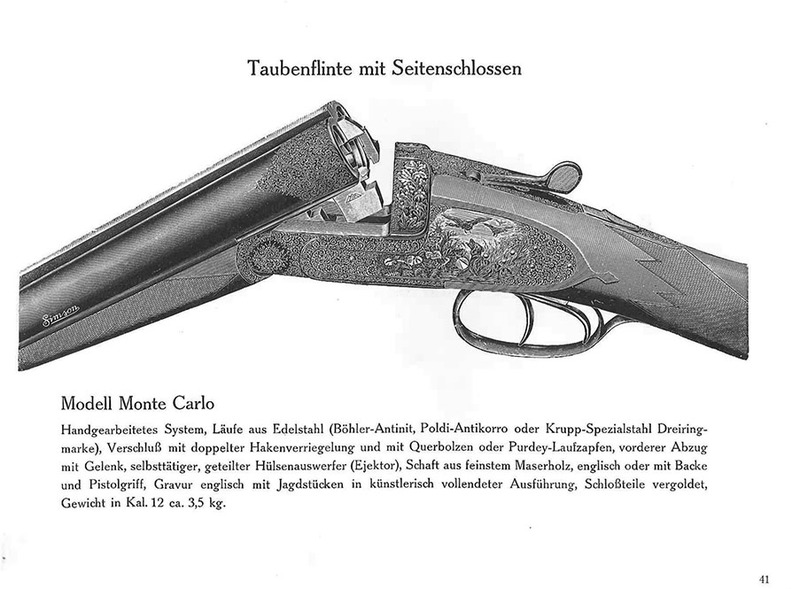 The gun was proofed in 1925.